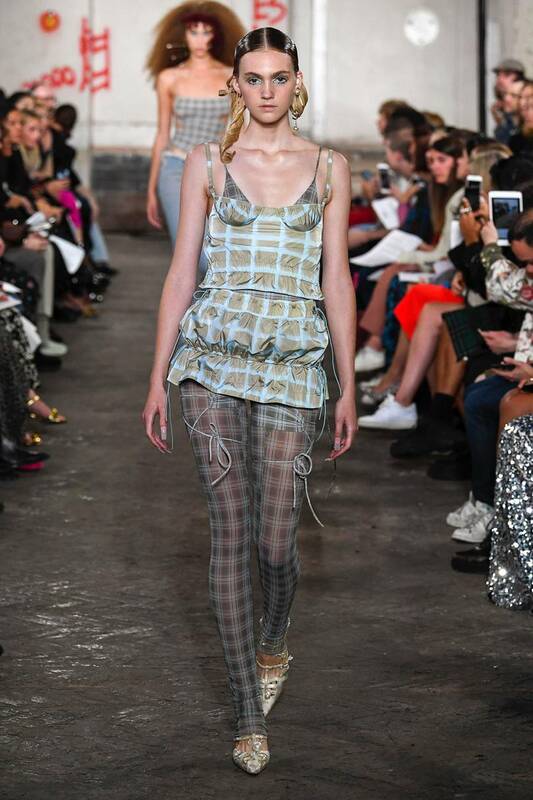 Charlotte Knowle’s is a really contemporary vision of deconstructed clothing, where her themes are mainly to reinvent garments that would be most likely appear for the male gaze. She aims to reinvent these typical designs into ones women can feel more comfortable in and more of a casual, everyday item, focusing mainly on lingerie and swimwear. I have always been interested in how she creates these designs and she is a designer that comes up religiously in my research. But, for this shoot, i want to understand the various types of garments she places on the body that manage to connect through use of tie strings. 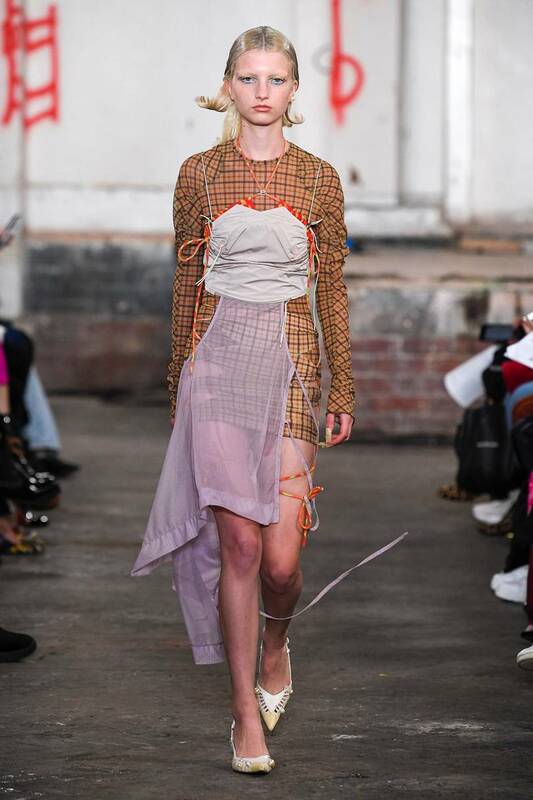 This could be such an effective way in executing my theme as these strings could represent trying to connect the segments of each deconstruction made within the clothing, meaning women’s standards are being broken through. I really like how each part of the body is almost cut up into pieces using the different layers of clothing. The variation of materials and opacities are able to create seperate dimensions for each part of the body and overall, i think it is promising for a futuristic approach to deconstructed fashion.